Are you shopping around for a new SUV? Then there’s no better choice than the 2019 Toyota 4Runner. Cincinnati, Ohio and the surrounding area has plenty of options for SUVs and dealers and we know right where you can find the best of both. Now, to be clear, this isn’t hyperbole. Rather, the nameplate has established itself as one of the most desirable vehicles in not only the segment but the entire industry. The 2019 4Runner delivers top-notch performance (to go along with surprising efficiency specs), intuitive technology, a spaciousness interior, and reliable safety functions. There’s truly nothing else you could ask for in a brand-new SUV. Plus, once you’re ready to make that purchase, there’s no better place to visit than Joseph Toyota. If you’re curious why this SUV and this dealership are the perfect pairing then continue reading. Who knows, maybe you’ll end up purchasing the vehicle before you know it! Other brands try to cram a number of engine offerings into their brand-new nameplates. This may sound enticing, but consider this: did the engineers really have the necessary amount of time to focus on each of these individual options? Instead of pouring all of their effort into one particular engine, they stretch themselves thin attempting to offer, say, three engine offerings. In this case, you’ll surely see diminished specs in each of the options, and this definitely isn’t ideal. This is a big reason why you shouldn’t be concerned about the fact that the 2019 Toyota 4Runner only comes with one available engine offering. Engineers were able to focus specifically on this engine, and this led to them creating one of the most desirable options in the entire segment. The 4.0-liter V6 engine ultimately cranks out an impressive 270 horsepower and 278 pound-feet of torque, numbers that are slightly superior to the competition. Meanwhile, the system really manages to impress with the fuel efficiency numbers. Thanks to fuel-saving technologies like the innovative Dual Independent Variable Valve Timing (with intelligence), drivers can appreciate a 20-mile-per-gallon highway fuel efficiency. This isn’t a number that’s often seen in SUVs, and it’s only another reason why the 4Runner’s V6 engine is so impressive. Predictably, the brand added a number of additional mechanical amenities to help keep drivers in control of their hulking SUV at all times. The pair of Four-Wheel Drive systems include Active Traction Control, meaning the 4Runner will consistently maintain a grip with the road. The Kinetic Dynamic Suspension System and Crawl Control unit also optimize traction, and these features will be particularly useful when you’re traveling off the beaten path. Speaking of off-roading, the Multi-Terrain Select allows drivers to choose from four different driving modes, each of which will slightly modify the vehicle’s drivability to accommodate the impending road conditions. The 4Runner is ultimately a “sports utility vehicle,” so we’re sure you were expecting some athleticism for your new SUV. However, even if you weren’t expecting the 2019 nameplate to deliver these kind of specs or amenities you’re on for a great surprise. You’re ultimately going to be spending the majority of your time inside the SUV, so you’ll surely be looking for technology that can help you bide the time during a long commute or road trip. Well, the 2019 Toyota 4Runner more than delivers, as the various inclusions will undoubtedly improve any driving experience. It starts with the 6.1-inch high-resolution touchscreen, which allows drivers to quickly and easily access all of their preferred applications, including an intuitive Integrated Navigation unit. The Bluetooth wireless technology will also prove to be essential, as this allows drivers to seamlessly connect their smartphone with little effort. This way, you can safely perform many of your phone’s basic functions (including phone calls) without compromising safety. If you’re going to be jamming out to your favorite tunes as you’re commuting, then you should consider opting for the incredible 15-speaker JBL sound system. The audio practically immerses the occupants, and the subwoofer helps to add the subtle beat that many vehicle audio systems are sorely missing. Some of these inclusions can even impact comfort. The heated and ventilated front seats will allow occupants to escape the brutal elements. The driver’s seat also includes an eight-way power-adjustable function, meaning you can consistently find your ideal vantage point of the road. If you’d rather enjoy the fresh air, then you should consider opting for the power sunroof, which will allow that fresh air to flood into your interior. If you’re looking for an unmatched driving experience, then you should be zeroing in on the 2019 Toyota 4Runner. Thanks to the array of technological functions, drivers will willingly take that quick trip to the corner store. Who knows, they may end up spending an extra couple of minutes in their SUV once they’ve completed their trip. If you’re going to be relying on your new SUV as a family vehicle then you’ll appreciate the array of safety features that are included in the 2019 Toyota 4Runner. These features don’t only keep occupants safe during a crash, but they’ll also play a role in helping to prevent those accidents from occurring in the first place. Many of these preventative safety functions revolve around the brand’s Star Safety System. Inclusions like Vehicle Stability Control, Traction Control, Anti-lock Brake System, Brake Assist, Electronic Brake-force Distribution, and Smart Stop technology will allow drivers to constantly maintain control of their rugged vehicle. Even the integrated backup camera is a helpful safety inclusion, as drivers can monitor everything that’s happening behind their SUV. At the very least, this feature will prove to be invaluable when traveling in a parking lot. If you do find yourself in an accident, you won’t have to worry. The 2019 Toyota 4Runner has been built to protect, as the eight standard airbags will provide every occupant with the necessary amount of protection during a crash. Meanwhile, the side-impact door beams provide that extra bit of protection. This inclusion assures that the structure of the vehicle doesn’t compromise during a crash, and it will also keep that dangerous energy away from the driver and passengers. The vehicle even comes equipped with active front headrests, which will protect you from any pesky head or neck injuries. The 2019 Toyota 4Runner is one of the better family vehicles on the market, and a big reason for that sentiment has to do with the array of safety functions. Whether you’re traveling alone or with a group, you can rest easy knowing that everyone is in good hands. One of the main incentives of an SUV is the amount of interior space, and the 2019 Toyota 4Runner more than delivers. If you’re always responsible for hauling luggage, sports equipment, or school projects, you’ll love all of the space you’ll have to work with. The vehicle can fit up to seven passengers thanks to the inclusion of the third-row seating. Of course, if you’d prefer to capitalize on the cargo space, then you can easily fold the back seats and the 40/20/40 fold-flat second-row seats to unlock an incredible 88.8-cubic-feet of space. Gone are the days where you had to shove everything inside of your vehicle; now, you’ll have more than enough room for all of your cargo. There’s even a sliding rear cargo deck, which will make it easy to load all of your luggage inside the SUV. Of course, the interior is highlighted by more than incredible, practically unmatched cargo space. Rather, the brand managed to produce a classy, sophisticated SUV that doesn’t break the bank. The Optitron technology allows all of the gauges to pop, providing easier visibility. Meanwhile, the premium materials that are adorning the seats only help to confirm the nameplate’s opulence. Even when you consider all of the other features and amenities that are included in the 2019 Toyota 4Runner, the brand’s engineers still managed to create a comfortable, driver-centric interior. This is just another reason why you should be considering this nameplate during your search for a new SUV. Visit us at Joseph Toyota! If you’re shopping around for a new SUV, there’s truly no better choice than the 2019 Toyota 4Runner. Now that that’s been settled, it’s time to shift your focus to the buying experience. 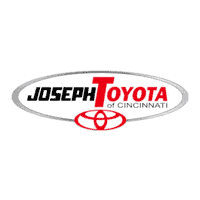 Well, if you live in the Cincinnati, Ohio area, there’s no better place to make that purchase than Joseph Toyota. Sure, our vast inventory and competitive pricing is enticing. However, the business separates itself due to the array of services they provide. The finance department will work with customers to determine a logical payment plan (even if you’re shopping with poor credit), while the service department can fix up any issues you may come across with your new SUV. Best of all, the flexible hours means you can visit at any time of the week. So what are you waiting for? If you’re looking for a brand-new SUV then head on down to check out a 2019 Toyota 4Runner in Cincinnati, Ohio at Joseph Toyota… you won’t regret your decision.